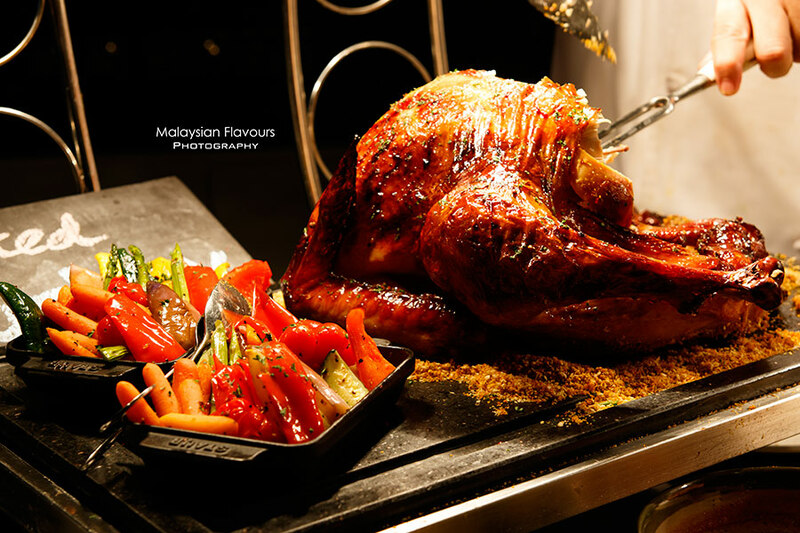 This Christmas, master chefs of Hilton Kuala Lumpur Hotel toast the spirit of giving with joyously crafted Christmas buffet, Christmas menus, Christmas goodies and a glorious Christmas feast in a quintessential setting. Raise a glass to this magical celebration of Christmas and New Year, bit adieu to a very memorable 2015. 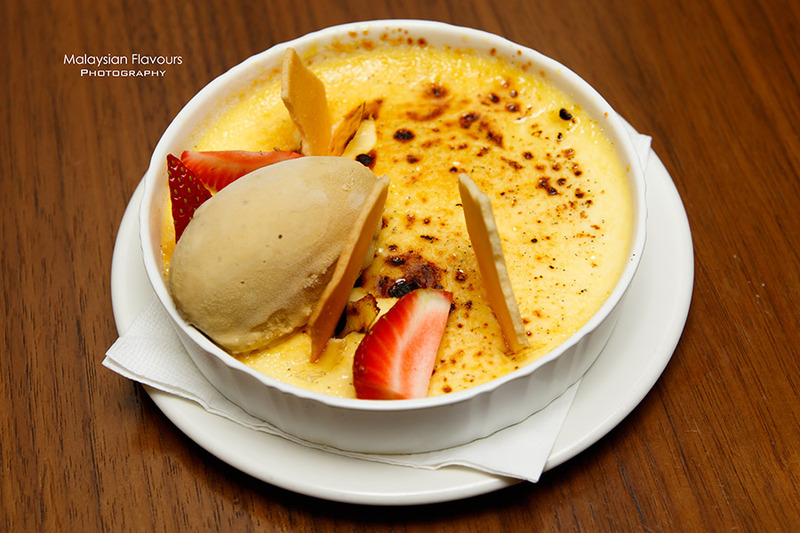 Is time to reward yourself, your families, friends with contemporary gourmet feasts at Vasco’s; all-you-can-eat galore at Chambers Grill; sumptuous afternoon high-tea with premium teas, sweet treats and dessert at Hilton KL The Lounge. For those who are looking for a short getaway this Christmas, complete the celebration with a night of stay at Hilton Kuala Lumpur. Guests can enjoy Hilton Kuala Lumpur’s Year End Deal with savings up to 30%. Not to forget, bring home some Christmas goodies including chocolate, cakes, gingerbread house, biscuits, or special Gift Cards at takehome.hiltonkl.com for your loved ones. 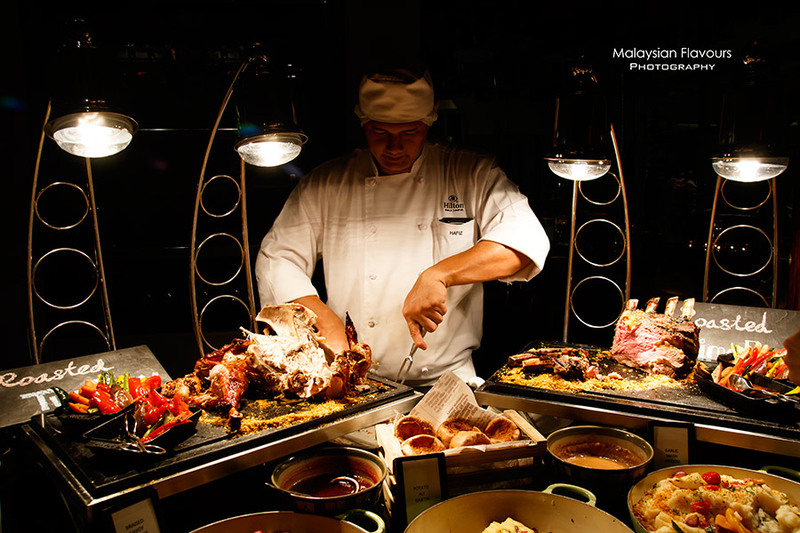 Vasco’s at Hilton KL Hotel offers one of the best hotel buffets in KL. The restaurant never fail to impress on their buffet range and quality, be it for normal day dining or special occasions. 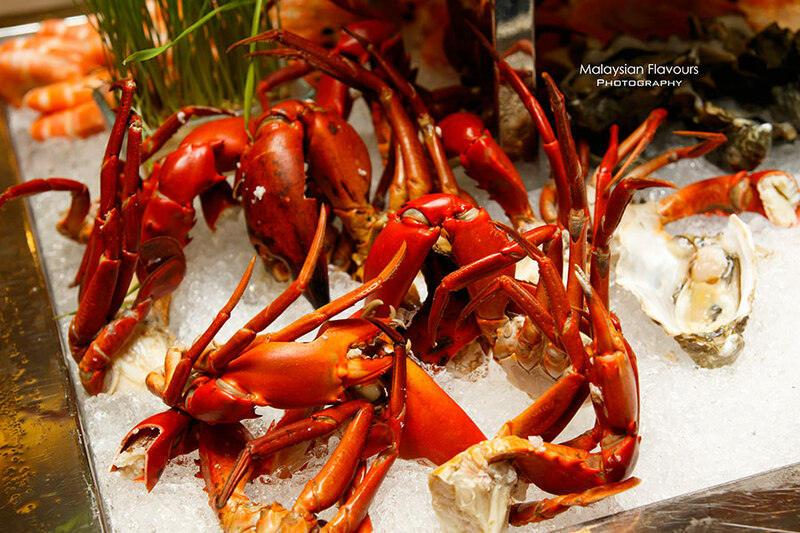 For Christmas 2015, Vasco’s hosts a wide range of signature favourites – Pink scallop in shell from the Sea of Borneo, Fresh Alaskan King Crab Claw, Traditional Roast Turkey with Chestnut Stuffing and Butternut Squash, Slow cooked Wagyu Leg of Beef with Yorkshire Pudding, Live Mud Crab, Oven-Baked Slipper Lobster, and more. Chef de Cuisine of Graze, Marc Fery has concocted an amazing festive menu, with a fusion of modern and classic favourites. Book a window seat and enjoy to the cozy, inviting atmosphere with panoramic view of the Lake Gardens. 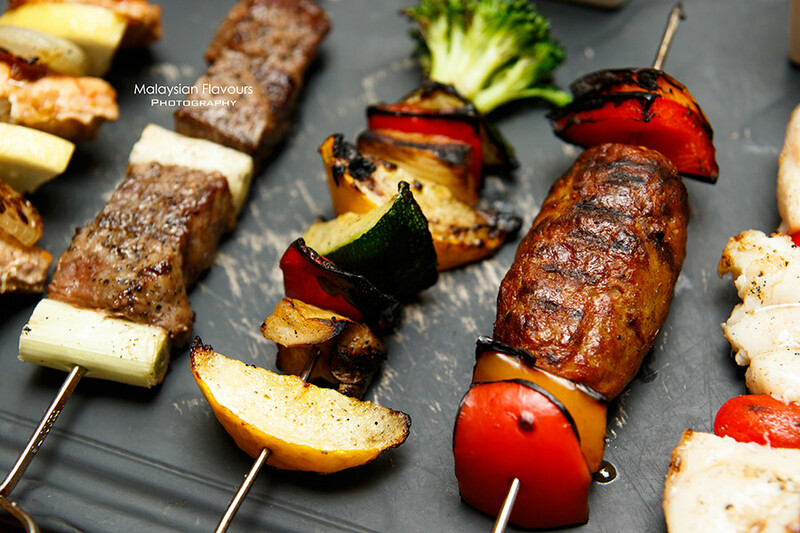 Look no further, Chambers Bar & Grill at Hilton KL hotel offers one of the best, finest grill in Kuala Lumpur. Please your palate this coming Christmas with Chambers all-you-can-eat festive dinner menu with premium seafood and cuts of dry-meat in skewers. We sampled few dishes from Hilton Christmas preview dinner, from buffet line and set menu. We began with Chambers Starter Platter, a colourful combination that put together Classic Waldorf Salad, celeriac, apple walnuts; Loch Fine Salmon & Crab Croquettes, sauce tartar; Mixed Seafood Ceviche, Ciabatta Croutons, Extra Virgin Olive Oil; Smoked Duck Breast, Red Cabbage Salad, Candied Orange; Chestnut Cream Soup, Cranberry Creme Fraiche. The dinner continued with grill items from Chambers too. 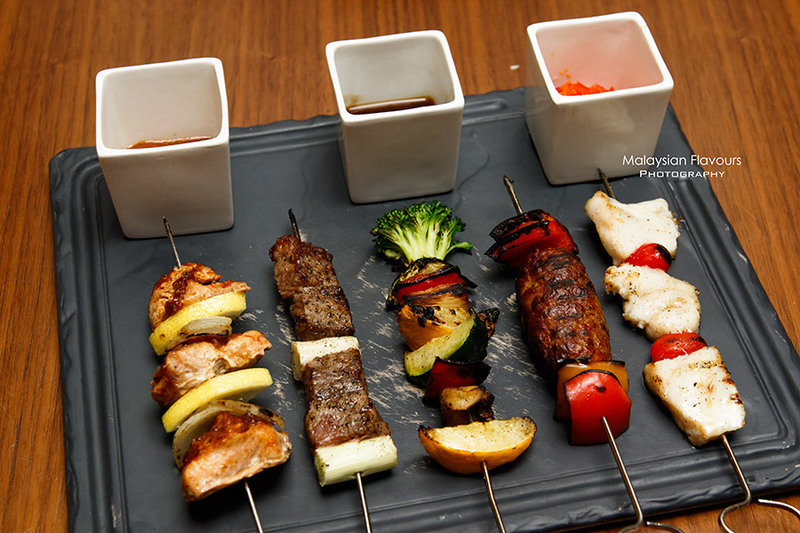 Delectable range of charcoal grilled beef rib eye, lamb kofta, chicken satay, chilean black cod and Mediterranean vegetables on skewers. Love the Chilean Black Cod the most! Moist, juicy, laced with smoky charred goodness from grill. No sauce needed! Dessert time! Hehe, our most anticipated moment. 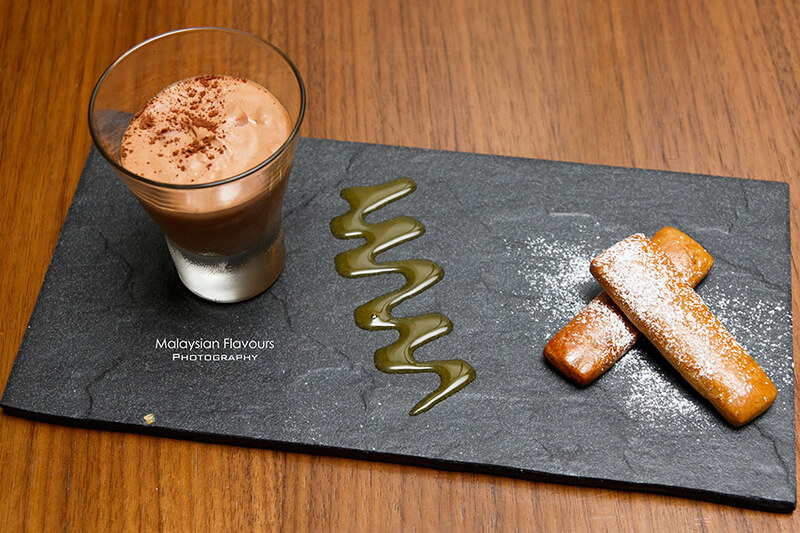 Hilton’s KL Hotel sweet treats are real good. 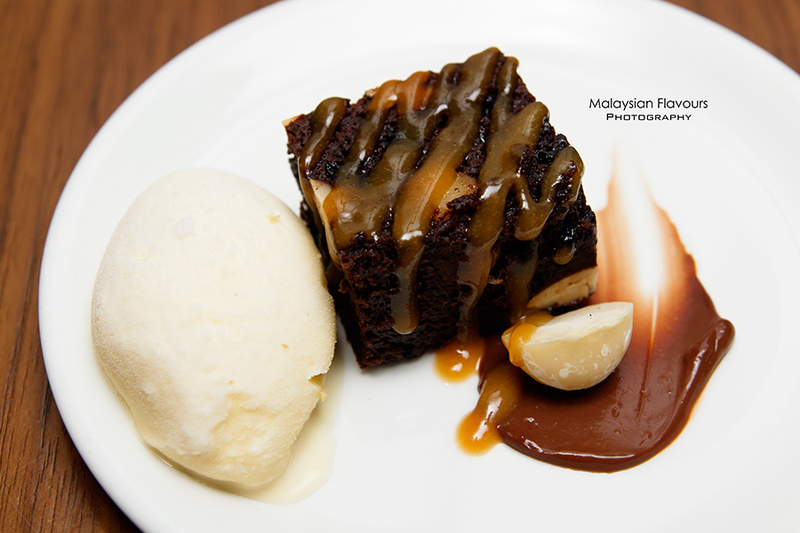 We had Rum Cake with Cherry Compote & Ice Cream, Chocolate Mousse with Orange Coulis & Ginger Bread Crisps, Creme Brulee with Pistachio Ice Cream; Warm Chocolate Brownie with Butterscotch sauce & Vanilla Ice Cream. The winner went to the Rum Cake, ohh-soo-good. 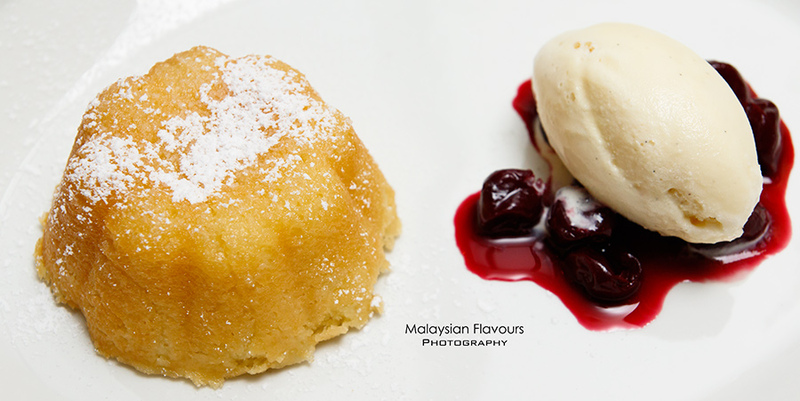 Having rum baked into a delicious yellow bundt cake, the spongy cake is extremely rum-licious. Summergirl finished the whole cake even though she had been saying “I am full” for few times. 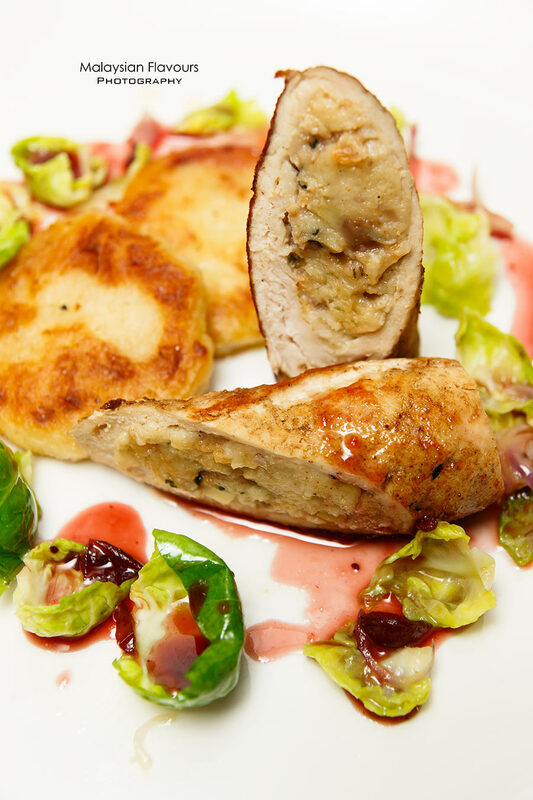 Still planning where to go for Christmas feast? Hilton KL is one of the best choice. Vasco’s, Chambers Grill or GRAZE, all are notably good. 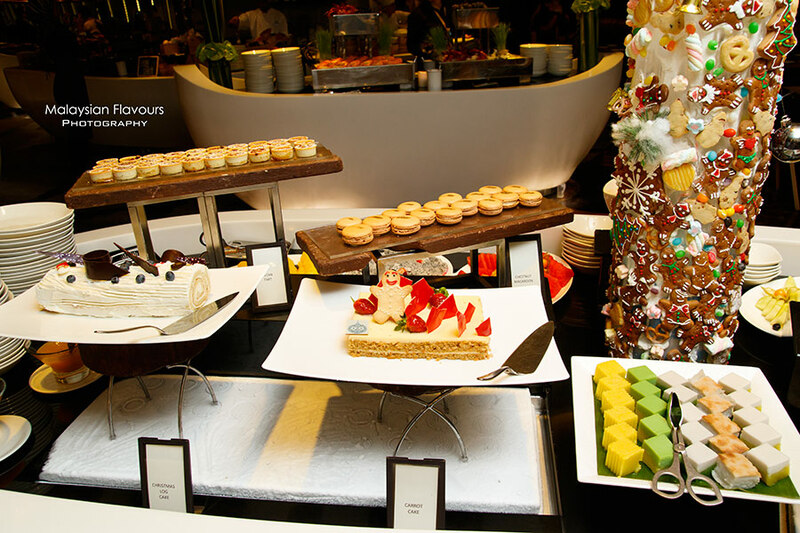 Visit Hilton KL website for more festive information or contact Hilton KL at +603 2264 2596. Click here for the Festive brochure. Takeaways and reservations are available from 16 November to 31 December. Early bird: 10% discount for bookings pre-paid before 18 December for reservations on 24 December (Christmas Eve), 25 December (Christmas Day) and 31 December (New Year’s Eve). Esteemed members of Hilton Premium Club, CIMB, HSBC and Maybank cardholders enjoy 20% discount. Offers not valid on 24 December (Christmas Eve), 25 December (Christmas Day) and 31 December (New Year’s Eve) 2015.